Home » creative activities » early child education » early learning » potential learning » Preschool Method » Coding in Early Age, Why Not! Coding in Early Age, Why Not! 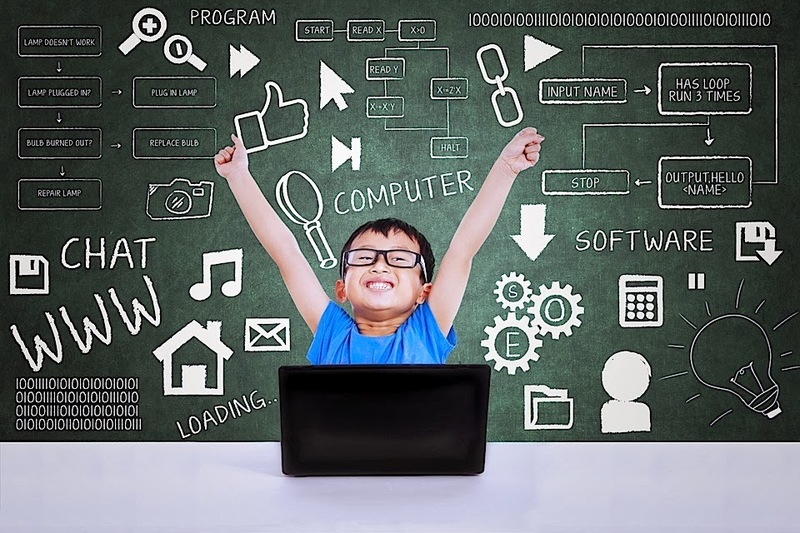 The new focus on STEM (Science, Technology, Engineering and Math) includes efforts to get kids involved in computer programming. Coding builds logical thinking and problem-solving skills. It's also creative and collaborative! Find out how you can introduce your child and toddler to the basic concepts of programming. Today's parents may have had some exposure to computer programming during their high school or college career. The logic probably surrounded the use of "if-then" statements and maybe even the use of punch cards. Those days are long behind us, and there are new and serious efforts to get kids — even very young kids — involved in computer programming. In recent years, there's been an increased focus on STEM subjects in schools, including science, technology, engineering, and math. Computer programming is an extension of that focus. Many new careers use coding skills, including web development, game development, and Internet security. President Obama and some celebrities have joined the call to get young kids involved in programming. Coding is based in technology, something that we all depend on in our daily life. What skills are learned through coding? 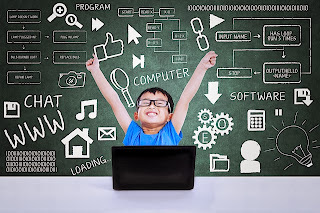 Computer programming relies on the use of sequencing and logic, skills that are useful throughout a student's school career. Many subjects, including history and math, consistently ask students to methodically and critically analyze content to find answers. Coding can also be a very collaborative and creative venture, with students working together to solve a problem or create an action. All of these skills extend far beyond the classroom. Can we try it? Where can I get more information? Code Monster is a site where your programming provides instant results. You and your child may have fun manipulating the code and seeing the immediate changes. Daisy theDinosaur (available from iTunes) is a free app for the iPad. Kids use a drag and drop interface to animate Daisy and make her dance across the screen. Scratch is designed for kids 8-16. It's free to use, and users can create stories, games, and animations. Scratch is used around the world and in thousands of classrooms. Code is a non-profit organization working to ensure that every student in every school has the opportunity to learn computer science. Coding in Early Age, Why Not! Is original article written, if you find that Coding in Early Age, Why Not! is violating DMCA please don't hesistate to contact me http://edutoddler.blogspot.com/2014/01/coding-in-early-age-why-not.html, and Thank For Visit Early Learning Methods for Child and Toddler. Title Coding in Early Age, Why Not! you are welcome bro...come to see us again..
nice post gan, continue ! Click here to visit Child Care Lounge.